According to the 2013 Insurance Barometer published by LIMRA, two-thirds of consumers are worried about finding enough money for a comfortable retirement. This is even more alarming when you consider the same study found that one-third of those consumers had experienced the death of a loved one in the past 2 years. This left them more concerned than ever about the financial situations in which they would leave their own families if they were to pass away without adequate life insurance. The following life insurance guide is designed to be an informative break down of the subject, offering you the educational tools you need to purchase your own policy and make the best decisions possible for yourself and your family. Look for TIPS (“Tricky Insurance Policies Simplified”) throughout the guide that offer handy summaries and suggestions. Insurance of any type is a mystery to many people, but it’s possible to look past the complicated lingo and policy names by seeking out simplified definitions and straightforward answers to common questions. If you’re reading this guide to life insurance, you’ve already thought about that question. The answer is yes; almost all adults need some type of life insurance policy. TIPS – Remember, if you have anyone depending on your income (your spouse, children, siblings, aging parents, etc.) and you’re not independently wealthy, you will need life insurance at some point. Just as our financial planning changes from one life stage to the next, different types of life insurance policies fill different needs depending on age and circumstance. The two major types of life insurance are term life and whole life, so let’s start there. Term life is designed to meet temporary needs because it gives you protection during a specific period of time or “term,” hence the name. It’s the most affordable option and serves its purpose, such as providing coverage while your kids are in college or until you pay off your mortgage, but it isn’t a long-term solution unless you opt for a 30 year term. Sara is 28-years-old and a stay-at-home mom to a three-year-old. Her husband has a life insurance policy through work, but they’re worried about the financial strain that could be placed on the family if Sara passes away while their daughter is still young. Sara decides to take out a 20-year term life policy because she’ll be covered until her daughter is finished with college. Her family will only receive the money from her policy if she dies before age 48. TIPS – Although term life isn’t a permanent solution, it meets an immediate need with guaranteed premiums and flexible coverage options that allow you to increase your coverage amount when necessary. Extending coverage, however, is expensive once your term is up, and you’ll be faced with limited conversion options. A permanent life insurance policy is crucial to your retirement planning. It offers you lifelong protection that never expires as long as you make your premium payments and don’t have any loans or withdrawals taken out. It’s the more expensive option early on because you’re basically “overpaying” to ensure a set premium during your older, high-risk years—but that overpayment is set aside and considered to be the policy’s cash value. Gene and Lisa are empty nesters and finally have the time to do that much-needed remodel on the house. Gene has a $500,000 whole life policy that he purchased over 18 years ago. It’s accumulated enough cash value that would more than cover the couple’s remodeling project, which they consider to be a good investment not only for retirement, but also for the kids’ future after they’re gone. TIPS – Any amount of money borrowed from your whole life insurance policy (that isn’t paid back) reduces the amount paid out upon your death. This means that the more you borrow now, the less your beneficiaries will receive. Now that you understand the basic differences between term life and whole life insurance, it’s important to recognize the variations of those policies. If you’re torn between term life and whole life insurance, you may want to consider a convertible term life policy. This is sort of a hybrid between temporary and permanent insurance because your term life policy can easily be converted to a permanent policy of equal value whenever you choose. It does tend to cost more than a basic term life option, and some insurers stipulate that you can only convert the term policy to a permanent one up until the age of 65. TIPS – A convertible policy may cover you past the age of 65, but you must take action prior to the cut-off age to convert it, or you risk losing the option of switching to permanent life insurance. Like the security of whole life insurance but want a little more flexibility? A universal life policy may be a good match for you. Keep in mind, however, that you can expect to exchange some of the guaranteed certainty of whole life for the flexibility found in universal life. The number one thing to remember about universal life is that the rate of return isn’t guaranteed because it’s determined by the market. This is because the policy adds money market investments to the death benefit. You can pay your premiums whenever you want, and in any amount you choose within the given minimums and maximums. Becky is a professional artist who works on commission for those bigger paychecks, but sells the majority of her other pieces through a local gallery. She wants a life insurance policy but her income fluctuates too much to make regular premium payments. With a universal life policy, she can pay the annual minimum when money is tight and put in extra cash after earning a big commission. TIPS – The premium rate you choose when buying universal life will affect your death benefit. The more payments you make, the bigger the benefit. Staying on top of a universal life policy may not be everyone’s cup of tea, but variable life policies are even more complex and require you to remain vigilant. This type of coverage allows you to choose your own investment strategy and manage it as you would any investment portfolio. It’s very similar to a universal life policy but, rather than the insurer managing the investment, you get to take the reins. Not the best at investing? No worries. Most variable life insurance policies are designed with a minimum benefit that still pays out to your beneficiaries, so they receive that benefit even if you’ve made poor investment decisions. TIPS – Even though variable life comes with greater risks, you may be able to achieve greater returns if you understand investing and stay on top of the policy. While not exactly a particular type of insurance, no exam life insurance is a breed of its own. Most life insurance products require medical exams as part of the application process. This is done in order to determine not only your eligibility for the policy, but also the cost of premiums, which can be quite discouraging if you’re not in the best shape. TIPS – Not everyone qualifies for no exam life insurance. You will have to answer a series of health questions and the insurer may check your pharmacy records, motor vehicle report, and any data collected by the Medical Information Bureau. While there are certain requirements you must meet, there are also things the insurer must make good on. Life insurance isn’t just a product you can buy and discard on a whim. 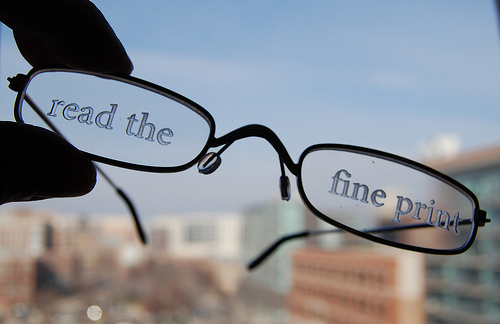 It’s an important life decision—so read the fine print and ask questions until you understand your policy. Life never stays constant. You may have started looking into buying insurance when you got married (or divorced), when you had kids, when you were laid off from your job, when you closed on your first house, or when you turned 50. Major life events tend to define the biggest decisions, but it’s important to step back and consider all possibilities when purchasing your policy. Ask yourself if the coverage you settle on will be enough if and when circumstances change. Since insurance is a product being sold by professional salespeople, you need to be as informed as possible. This doesn’t mean that insurance agents are automatically going to take advantage of you, but they’re not the best judge of your personal needs, you are. Don’t let anyone talk you into buying something you know isn’t the best solution for you and your family. It’s not easy to imagine what life will be like for your loved ones after you’re gone, and they probably don’t want to think about it either. Still, planning ahead is for their benefit, so consider all the what-ifs. Even if you go with term life coverage and outlive your policy, you’re still there to love and support your family. So feel confident that no matter which insurance type you choose, you’ve made the most prudent decision possible to provide for them. Purchase a policy that will cover 6 to 8 times the amount of your annual salary. Review your policy regularly and increase or reduce your coverage based on lifestyle changes. Look into lower premiums on a current life insurance policy if you’ve improved your health. For example, non-smokers pay less for coverage. Consider automatically renewable coverage that renews regardless of any changes in health status. Consider meeting with a financial planner to get a better idea of the amount of coverage you need. Get several small policies thinking you will save money. It’s always better, and usually more affordable, to buy one major life insurance policy that you can modify as your needs change. Ignore uninsured spouses. Stay-at-home parents and spouses that work part-time may not contribute much to the family in the way of income, but think of the housekeeping, daycare, and other services that are lost if that spouse dies. Buy a whole life policy thinking it will be a high return investment. Protecting your loved ones financially for a few years after your death should be the main reason behind your purchase. Most polices have a very low return on the investment. Buy a policy from the first agent you find. Shop around and do your homework until you understand your needs and know how to find the best rate for the coverage you want. Who should I name as my beneficiary? Your beneficiary can be your spouse, your children, a sibling, nieces and nephews, or even your estate. 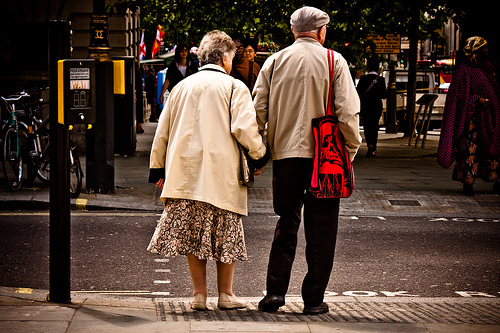 You should always specify a contingent beneficiary in case you outlive the primary beneficiary. Be careful with the wording of your beneficiary designations and remember to change the designation when you need to. What happens if a miss a premium payment? Most insurers have a grace period of about 30 days in which you can make up a missed payment with no interest added. Especially with term policies, if you fail to make the payment before the grace period is up, the policy will be cancelled. Permanent policies come with the option to make the payment with the policy’s cash value, but you have to authorize that option. What should I consider when determining how much coverage I need? We’ve already mentioned that it’s a good idea to buy a policy that will cover 6 to 8 years worth of income, but that’s a very general rule of thumb. Sit down and list any current and future financial obligations (debts, taxes, housing costs, funeral costs, clothing, education, etc.) and see how much of those needs could be met by surviving family members (such as a spouse’s income, retirement money, savings, etc.). Calculating the difference between those two should give you a better idea of how much life insurance coverage you need. Planning ahead for something as devastating as your own death can be a depressing, confusing prospect, but it’s something we all have to face. Whether you end up choosing permanent coverage, a term policy, or a combination of the two, the best solution depends on your own financial goals and unique circumstances. Having a better idea of your family’s needs, as well as a basic understanding of your life insurance options, gives you the power to secure your family’s future, taking care of them even after you’re gone. Which type of life insurance is right for you? Read our in depth guide to term vs whole life insurance. 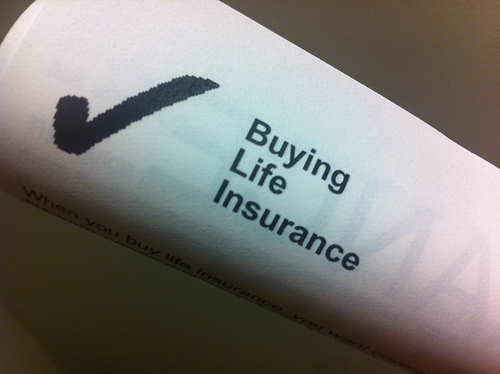 Must read tips for finding the best prices for life insurance. Having life insurance in place to cover a mortgage debt is crucial. See our guide to mortgage life insurance. 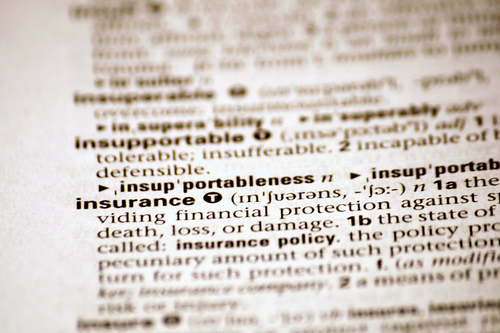 Learn about the various types of life insurance. See which policy is the best choice for your situation. How long does it take to get life insurance? 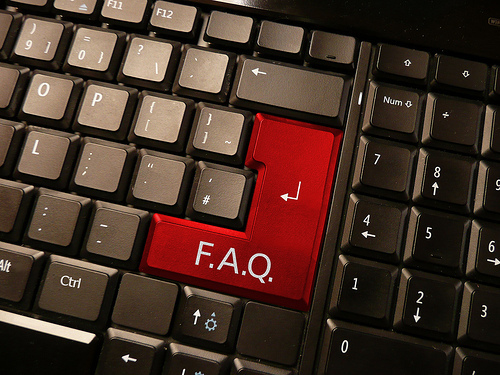 See the factors that can affect your approval time in this guide.